Every year, farmers, landscapers, groundskeepers, lawn and road maintenance crews and other workers spray about 250 million pounds of glyphosate — the active ingredient in Monsanto's Roundup — on crops, nurseries, lawns, parks, golf courses and more. The problem? Glyphosate has been linked to cancers, particularly non-Hodgkin's Lymphoma. In the 1970s, Monsanto Corporation developed glyphosate, a chemical that works specifically to block an enzyme that plants need to survive. Then, in 1974, Monsanto commercialized glyphosate, marketing it as a broad-spectrum herbicide. Roundup, the world’s most popular herbicide, is a type of weed-killer and pesticide manufactured by Monsanto that has been around since the 1970s. Glyphosate forms the active ingredient in Roundup. Roundup is used in many backyards and gardens; however, it is most often used in commercial agriculture where it is sprayed over crops like alfalfa, canola, corn, cotton, sorghum, soybeans and sugar beets. In the mid-90s, Monsanto introduced “Roundup Ready” crops that were genetically engineered to survive the weed-killer. That meant farmers could spray Roundup over their entire crops and fields to control the weeds without hurting their crops. International Journal of Cancer, October 2008. A Swedish study concluded that exposure to glyphosate doubled the risk of developing non-Hodgkin’s Lymphoma within less than 10 years. Occupational and Environmental Medicine, September 2003. An American study of over 3,400 farmworkers in the Midwest found higher rates of non-Hodgkin’s Lymphoma associated with glyphosate exposure. These studies found higher rates of this cancer in farm workers who were exposed to large amounts of Roundup. 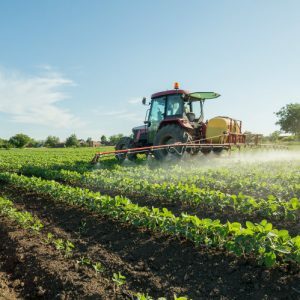 In 2014, a study by French scientists linked occupational exposure of glyphosate to NHL, finding that people who work with or around the chemical were twice as likely to develop NHL. In 2015, France banned Monsanto’s Roundup weed killer after the United Nations classified Roundup’s main ingredient, glyphosate, as a probable carcinogen. Non-Hodgkin’s Lymphoma (NHL) is a cancer that can start nearly anywhere in the body. It is a blood cancer that grows in lymphocytes, which are white blood cells in the immune system that help the body fight diseases. Monsanto is facing a growing number of lawsuits for downplaying this risk. Lawsuits have been filed against Monsanto by farmers and other workers alleging occupational exposure to Roundup caused them to develop NHL. Most of the lawsuits have been filed by agricultural workers who sprayed large amounts of the herbicide on crops. Plaintiffs claim Monsanto had a responsibility to warn consumers and regulators about the risk of non-Hodgkin’s Lymphoma from exposure to Roundup. If you or somebody you know has been diagnosed with cancer or non-Hodgkin’s Lymphoma that you believe may have been caused by exposure to Roundup, contact one of our attorneys today for a free, no-obligation review of your case.